Aerial Conditioning is a unique class that focuses on upper body and core strength as well as flexibility. 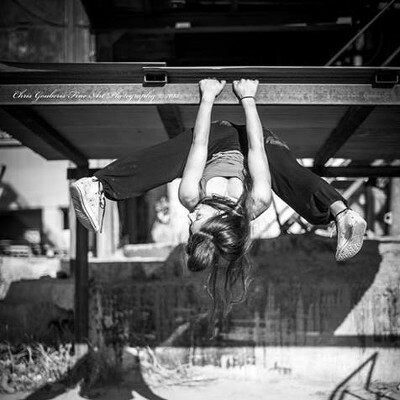 Traditional circus aerial conditioning exercises will get you to lift and invert in no time! Suitable for all levels (basic experience in aerial hoop or silks preferred). You will learn to use aerial silks to guide you safely through a series of techniques and conditioning exercises to improve your aerial practice, overall strength and stamina. Aerial conditioning will help you learn those moves you have always visualised, but never quite worked out how to do. Every class will push your practice further, in a safe and supportive environment. Suitable or anyone, from beginners with a little aerial hoop or silks experience to intermediate or advanced students. This class will help you progress your skills across a range of aerial apparatus. Ideal to complement other aerial classes as well as building strength and stamina in general. Get ready to work hard and see results week on week! You will benefit from lots of one-to-one teacher contact and advice.